Personalized baby gifts often become treasured family heirlooms lasting long past the initial usefulness of the gift. From beautiful wall art and baby blankets to incredible handmade décor and works of art, if you are looking for something special for that new baby, you are sure to find it here. If you are looking for personalized baby gifts, you can’t go wrong with this adorable hooded bathrobe designed to look like a cuddly gray elephant wearing a pink hair bow. This robe is generously sized to fit newborns through 9 months old. Makes for cute photos and can double as a Halloween costume. Start your child off right with a personalized toy box to corral their favorite treasures. As they get older, they will actually love putting their own things away in this classically designed lidded storage with their name custom printed for all to see. You can choose from three fonts and a variety of colors. This adorable varsity jacket can be customized in up to 4 locations with an initial, a name, or a favorite number. Your adorable munchkin will turn heads in this stylish ensemble. Perfect to wear anytime, also makes great staged photos or can double as a Halloween costume – 1950’s style! As your little one grows, they will need help with important tasks like brushing their teeth or putting their dishes away in the sink. Make it a little easier for them with this personalized wooden step stool, with storage, that they will love. Personalize with a wide variety of colors and fonts. 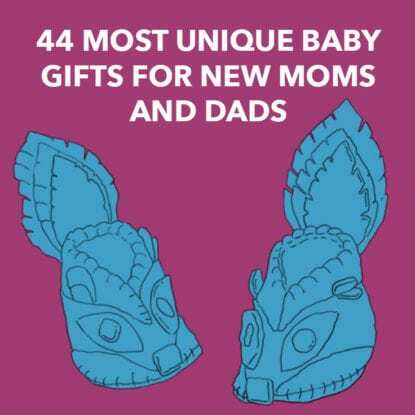 Give Baby a precious gift that Mom will also treasure. This personalized baby quilt comes with the baby’s name emblazoned in an array of adorable coordinating fabrics. Placed at the foot of a bed, used as a wall hanging, or wrapping up on cold mornings, this gift will bring joy to the recipient. This storybook pillow makes the little one the star of their own adventure. You can choose infant or child for the character, select hair color, and choose skin tone. The back side of the pillow, with classically drawn illustrations, contains a description of the book/child and a “review” by the gift giver. This light box provides a comforting night light and a sweet prayer personalized with the child’s name. This gift makes a thoughtful room decoration that will be cherished by the parents for years to come. Nothing is more thoughtful than a gift you took the time to make special with personalization. Give a gift the new parents will treasure with this sweet box that can hold Baby’s tiny mementos. This handmade keepsake box is made of sturdy birch and is laser engraved with personal details such as the child’s name, birth date and time, weight, and city of birth. This gift will become a family heirloom. This adorable “My First Purse” set comes with four soft accessories. Baby will love playing with the keys, credit card, compact, and cell phone. Have the purse embroidered with the baby’s name for a sweet, personal touch that mom will treasure as well, and the little one can enjoy for years. This charming print, styled like a Coat of Arms, makes a truly unique birth announcement. Amid the playful drawings of monkeys, bears, crowns, and castles, you can personalize with the baby’s name, parents’ names, birth date, location, weight, and astrological sign, making this an instant family heirloom. Personalized baby gifts do not come any sweeter than this cuddly, embroidered portrait pillow that celebrates the newest addition to a growing family. The adorable baby can be outlined in blue, pink, or green thread and is carefully stitched onto the hemp canvas. Add baby’s name and birthdate for the final touch. Celebrate Baby’s first year with this personalized birch wood frame that can be customized with the little one’s name, birth date, or a favorite quote. There is a spot for a monthly photo so that you can be amazed seeing fast they grow. Available in gray, pink, blue, or mint. Surprise new parents with this fun, colorful pillow inspired by the graphics of 1930’s subway signs. Each cuddly cushion features the child’s name, birthday, time and location of birth, weight and inches, and the names of the proud momma and poppa. This will look great in the nursery and becomes a cherished gift. This cute little hooded baby towel is perfect for bath time, pool, or beach. Make it more special by having the child’s name printed on the hood and throughout the body of the towel among the cute boats and whales. The parents will love seeing their little munchkin wrapped up snug as a bug. Enchant your little princess with this lovely, mirrored jewelry box to hold all her royal baubles and gems. The sweet little ballerina twirls to the beautiful sounds of “Swan Lake” inside a roomy box lined with soft material. Engrave the child’s name on the lid for a treasured keepsake. When you just know that little baby is going to be a big sports fan, this is the perfect gift. Baby’s “My First Sport’s Bag” is personalized with their name and comes with a basketball squeak toy, a baseball sound toy, a soccer ball crinkle toy, and a football rattle. Give that precious new arrival this soft and snuggly teddy bear that will soon become their best friend. Mom and Dad will love the “announcement” t-shirt with the baby’s name and birth details, and you can select from a pink or blue shirt and add a personal message as well. Give the new baby this beautiful, handmade, wooden picture frame available in gray or cream. Personalize with up to two lines of type – depending on the frame size you select – and customize the colors of the burlap flowers. The rustic-chic style of this item will look great in any home. These personalized, handmade “name” puzzles are the ideal gift for a baby shower or first birthday. You can select colors, add a name up to 10 letters, and choose a cute picture piece such as a butterfly, owl, fox, and more. The little one will enjoy your sweet gift for years to come. There is nothing cuter than this personalized “Baby Block” engraved bank. From the silver teddy bear on top to the pastel images on the sides – a heart, duck, and “B” for baby – this item is just delightful. The little one’s initials, name, and birthday will be engraved making this a treasured keepsake. If you are looking for personalized baby gifts, you will love this burlap art print featuring a sweet Irish Blessing for the wee little one. Add the child’s name and birthday to create an instant family keepsake that will be cherished for years to come. This rustic-chic look enhances any décor. New moms will always treasure the outfit her little one wears home from the hospital. Be a part of that special memory by giving her this personalized newborn baby gown with matching headband. The perfect shower gift, this item comes in several styles and colors to make your selection unique. This sweet LED light shadow box for a baby boy is the perfect room décor and nightlight for the little one’s nursery. Decorated with a hot air balloon and tiny sailboat, you can customize this to have the child’s name, birth date, time, length and weight for a truly memorable keepsake. You cannot get any cuter than these personalized head bands for babies. These decorative head wraps are made of the softest material to keep the little one comfortable. You can choose from 9 headband colors and more than a dozen thread color options. Get two or three – they are the perfect baby shower gift. Be the one to give the little princess her first sweet baby doll embroidered with her name. This pretty-in-pink girl is cuddly and soft, the perfect best friend. You can add up to two lines of text and select the hair color for a custom gift that will be treasured. This personalized onesie is the most adorable way to announce your baby’s name to the world. The name is cut from thick, colored felt and stitched to a hand-dyed body suit with embroidery thread. Available in a number of sizes and several colors, this is a beautiful, handmade gift they are sure to love. This personalized wall plaque is shaped like a cross and emblazoned with the words of “Keep Me Safe,” a bedtime prayer. You can choose blue, pink, or tan, and personalize with the child’s name to make it extra special. It is 5” wide by 7” tall and is made of solid wood. This personalized dry-erase board will help Mommy and Daddy keep up with all the big changes happening right before their eyes. With spaces to write the baby’s age, milestones, and favorites, this charming keepsake will be perfect for a documentary photo every month. Constructed of hardboard with a high gloss finish, it is picture-perfect! This adorable growth chart is designed to look like an actual ruler and is a real piece of wall art. Professionally produced on artist canvas with archival inks, this piece will stand the test of time. Available in three different color choices, you will need a permanent marker to chart your little one’s growth spurts. Only the trendiest babies go home from the hospital in a classic, seersucker gown designed to look just like Daddy’s work shirt. From the tiny buttons to the cuffed sleeves and pressed collar, everything about this sweet little gown is adorable. Add a monogram to the front pocket for the ultimate touch. Personalized baby gifts don’t come any cuter than these special birth announcements that celebrate both the little one and the state where they were born. Every state has something special and these cheerful prints celebrate those unique features while listing the baby’s name and birthday for a gift the whole family will treasure. Featuring a lovely sentiment using a classic nursery rhyme, this personalized canvas wall art will become a family keepsake. “Twinkle, Twinkle Little Star, Do You Know How Loved You Are?” adorns this sweet print with either pink hearts or blue stars and featuring an antique-gold moon. The child’s name and birthday make it extra special. Give the gift of this unique, wooden pennant featuring the baby’s name cut-out and hand-painted from birch wood. You can receive up to 10 adjustable letters – with shorter names flanked by solid color pieces – strung on a natural cotton twill ribbon. Two wooden pushpins are included to complete the look. Give your tiny fisherman his very own “My First Tackle Box” monogrammed with his name, printed crisply right across the top. This soft playset includes four baby toys including a fishing pole, a crinkle worm, a fish squeak toy, and more. Daddy’s little fishing buddy will love this. This Noah’s Ark bank has beautifully rendered details of nine sets of animals, front and back, and can include two lines of personalization in your choice of font. This beautiful gift will be a treasured keepsake everyone in the family will appreciate. Perfect for a baby shower or first birthday. These attractive and practical storage pieces will help keep the little one’s toys neatly stored away. They are a useful addition to the playroom, nursery, or any room in your home. You can choose from two canvas colors and add a name or monogram in your choice of various fonts and thread colors. This solid, natural oak cross is beautifully sculpted and features a pewter medallion with your choice of a praying boy or praying girl. The child’s name is laser engraved below the figure with the words “God Bless” across the top. It is 4” w and 8” h and designed for wall mounting. This beautiful personalized photo album is sure to be a family keepsake. The laser-engraved wooden cover is printed with the child’s name – up to 10 characters – and the date of birth, which is optional. Each page has a small area for writing captions and dates. It can hold up to 40 4 X 6 photos. This ultra-soft, plush velvet blanket will become your child’s favorite buddy for cuddling and naptime. The woodsy theme features adorable bears and foxes that they will love. Personalized baby gifts make them that much more special. You can choose from two sizes based on the age of your child. They will be well-loved for years to come. This gorgeous flower swaddle blanket and matching headband looks beautiful in newborn photos, and at a generous 35 X 35 inches, this sweet gift will grow with the child. It can be used as a cart cover, play mat, and for naptime cuddles. The headband is super soft and stretchy for a comfy fit. For practical purposes, this personalized growth chart is a memento to remember your child’s growth spurts, but with the beautiful flower and butterfly watercolor design, it is also a stunning piece of wall art. It will look beautiful hanging in your child’s room and something that you will cherish for years to come. Share the news of the new little one in artistic fashion with this watercolor birth announcement pillow. This splash of color will look cute in any nursery and is custom printed with the child’s name, birth date and time, weight and length, and parents’ and siblings’ names for a gift the whole family will love. This amazing world map features cute animals that will delight your child and be an adorable addition to their room. Personalize it with the child’s name for that extra special touch. Not only is it a delightful piece of wall art, your little one can learn about the world’s animals. This baby milestone blanket is the perfect backdrop for those precious monthly photos showing how fast the little one is growing. And after the photo shoots, it also makes a cozy blanket for naptime and snuggling and can be used as a beautiful wall hanging. This is a wonderful gift that will be treasured. This vibrant piece of wall art takes your little shooting star on a trip through our known solar system, even including the newly discovered dwarf plant, Eris. Your young astrologist will love sharing the great big world personalized with her own special name. This cherished gift will be appreciated for years to come. This adorable baby blanket is destined to become a family heirloom. At 4’ square, it is a generous size for cuddling and naptime. The classic white design, with fringe, will go with any décor and look beautiful in any crib or stroller. Adding the personalized touch of a monogrammed name makes it extra special. This sweet little baby blanket in pale blue with white stars and trim is made extra-special with the little one’s name embroidered across one edge. 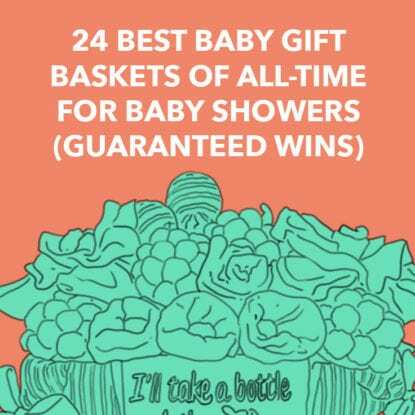 This is a perfect shower or birthday present sure to delight the new mom. This blanket will be treasured for years to come. Ladies and Gentlemen: I give you the “Bapron”! What is that you ask? An adorable, super-large baby bib designed like an adult apron. Not only is it cute, but the clever design helps you keep the entire baby clean while eating. And with this DIY pattern, you can customize fabrics to suit your own taste. Personalized baby gifts don’t get any cuter than this little snuggler blanket perfect for swaddling a newborn. Choose any fabrics you like to suit the theme of any nursery. Make them for friends. You could even custom monogram them for a special touch. You will love these and so will Baby. Make this set of adorable onesies to celebrate each month of Baby’s first year. Those all-important photos will be even more precious using these sweet handmade gifts. You can even present them as a banner on the wall making a lovely shower decoration as well. Those hooded baby towels are adorable, but they can also be expensive and they often run small. Follow this tutorial for making your own custom hooded towels that can match any décor, the family towels, or any theme you like. Plus, you can make them super big for extra comfort! Using a Cricut machine, you can make so many things, including this cute pillow. Design a stencil and use fabric paint to create your own custom cushion that will go great in any child’s room or family room. Alternatively, you could make a vinyl iron-on instead of using paint. Create custom bibs from upcycled men’s collared shirts and t-shirts for the cutest look you have ever seen. How adorable is a baby bib made from Dad’s favorite shirts? These simple-to-make bibs will be so popular, everyone you know will want you to make them for them too. Car seat canopies are great for shielding Baby in his car seat from sun or just too many adoring eyes! Check out this tutorial for making your own colorful versions. The great thing with a DIY like this is that you can completely customize the idea with fabrics and embellishments of your choice. Check out this tutorial for making closet organizers that will keep your child’s clothes handy and ready for quick dressing. This is a free printable set that will be invaluable in making your little one’s closet a dream. These dividers are made for standard baby sizes and include some blank ones for customization. These handmade “taggie” blankets are easy to make and to customize for all of your friends. Pick beautiful fabrics and ribbons that will suit any theme or décor and prepare for the lucky recipient to be delighted. They will also be touched at the thoughtfulness of your handmade gift. Check out this fun blog with details on making cardigan onesies and baby bowties that make that little boy look as dapper as any gentleman. These can be customized in so many fabrics and colors. They make fantastic baby gifts that will be treasured every time they are worn.